Of course, with such popularity comes the hoard of pitch submissions from guest authors. 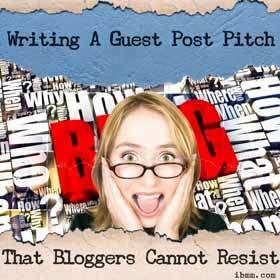 And for many bloggers and website managers, these pitches are not just mere request. They are also an invaluable tool that assists them in figuring out whether a guest blogger’s work is worth publishing or not. If you are planning to contribute a post to a particular website, take note that writing your content is just half the battle. You also need to come up with a compelling pitch that properly exemplifies your intent, the value you could bring to the host blog’s community, and showcases your writing prowess. Here’s how you can do that. Remember that every blog or website has a niche. So it’s likely that the host blog you’re targeting to contribute your work to covers specific subjects that are of interest to its intended audience. Therefore, before you do any work, spend a good amount of time reading the content of the website or blog to get a good sense of their target audience and what topics they usually tackle. The easiest route to having your pitch and your guest posts to be rejected is to disregard the rules or submission guidelines. Be aware that those rules aren’t there just to fill a site’s page. Website managers took the time to write them to explain to interested contributors what they are looking for. 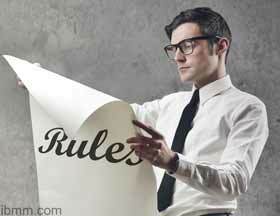 If you don’t get a handle of the rules, then don’t expect bloggers to even look at your pitch. For the subject line, keep it simple and direct to the point. It is a good idea to write a title that exemplifies your intent so that site managers will know exactly what they are receiving. The same thing goes with your self-introduction. Keep it short by telling your name and why you’re writing the email. Once you are through with the intro, you can start with your main pitch. Be as specific as possible; tell them what type of post you are proposing; give them an idea what it will be all about; and how it will bring value to the blog’s readership. It also wouldn’t hurt if you include useful information to support your pitch, such as links to your past posts, images, etc. Also, let them know how you intend to promote the post should they decide to publish it. Wrap up your pitch with a closing remark along the lines of “I appreciate that you have taken the time to read my email. I look forward to hearing back from you and discuss the opportunity to contribute to your website.” Remember you are not doing the site manager or blogger any favour by sending your post pitch. It is the other way around. So it pays to include a genuine note of appreciation. This one is obvious, but a lot of interested guest contributors forget this. Keep in mind that your pitch will serve as a sample of your writing skill and if it is littered with grammar and spelling mistakes, then the blogger will surely assume that you are not professional enough to double-check your work. 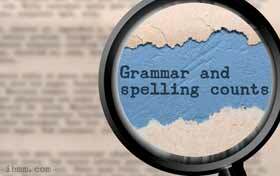 Get it right the first time; proofread your work several times or have someone else check it for you.